« National Poetry Month Discount! 30% Off! Red Hen Press was at Bryant Park in New York City on August 21st. Featured readers included Camille T. Dungy, Douglas Kearney, Cynthia Hogue, and Sean Nevin. We had a wonderful turnout and everyone had a great time. 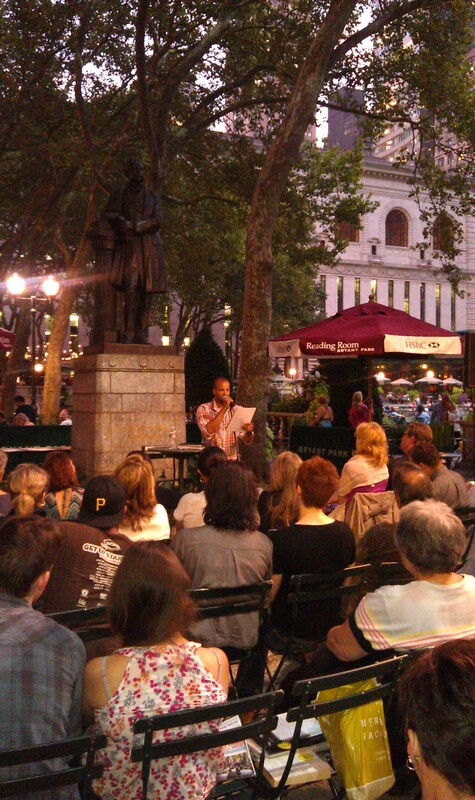 This was our first time at Bryant Park and we look forward to returning again in the future! Our next event in the city will be on September 12th at KGB Bar. For more information on upcoming New York events and readings, click here. A schedule of all upcoming Red Hen events may be found here.